If you’ve ever suspected your child thinks you’re a total dag, know that you’re in really good company. 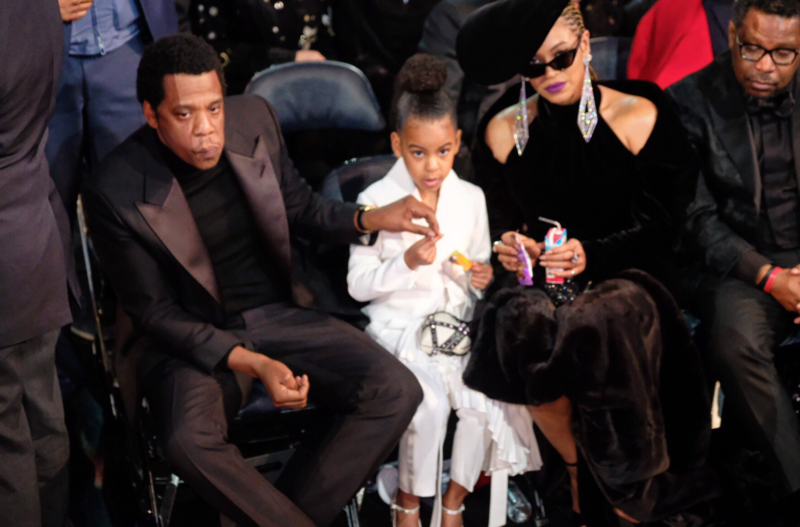 Company like Jay-Z and Beyoncé whose six-year-old daughter, Blue Ivy, served her mum and dad a very public shut-down as the world watched on in delight. Forget that rumoured Illuminati, the Blue-minati is the new, big thing. Its tiny leader, Blue Ivy Carter, made a rare public appearance at the music industry’s biggest event, immaculately dressed in ethereal white. Blue held court between her parents, a picture of effortless composure and it’s probable she was hypnotising us through the telly with her Blueminati mind powers. Beyoncé and Jay-Z, obviously fully paid-up members of their daughters cult, complied quickly and sheepishly – as viewers watched on in utter delight.